Please join us every Thursday in the month of April, 4:30 pm to 7:30 pm for HOUTSKOOL DUMPLINGS and a celebration of our current exhibition, "A Sense of Place." Explore "A Sense of Place;" engage with some of the participating artists and purchase delicious handcrafted Asian dumplings. A splash of wine provided by our generous wine sponsors will be available, along with tea and sparkling water. 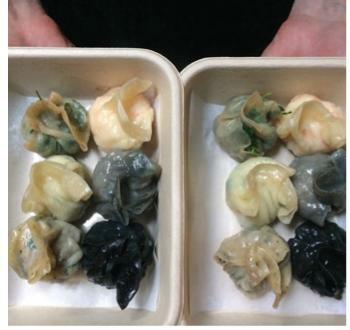 HOUTSKOOL dumplings are shaped and steamed to order and will be available for purchase, to eat in or take out. Thanks to the generosity of Syd Kato and Lucas Moderacki of HOUTSKOOL DUMPLINGS, 25% of all dumpling sales will be donated the Museum! "A Sense of Place" celebrates the scenic artwork of Northern Sonoma County, created by renowned local artists, mingling past and present. Our art exhibition and Thursday Night at the Museum are partially funded by a grant from the Healdsburg Tourism Improvement District (HTID).